For Prince Mohammed, the conflict remains part of what he sees as an existential struggle between Saudi Arabia and Iran for the future of the Middle East. DUBAI: In a kingdom once ruled by an ever-aging rotation of elderly monarchs, Saudi Crown Prince Mohammed bin Salman stands out as the youthful face of a youthful nation. But behind the carefully calibrated public-relations campaign pushing images of the smiling prince meeting with the world's top leaders and business executives lurks a darker side. When King Salman took power in January of 2015 and quickly appointed Prince Mohammed as defense minister, it took the kingdom by surprise, especially given the importance of the position and the prince's age. He was little-known among the many grandchildren of Saudi Arabia's patriarch. As defense minister, he entered office facing a crisis in Yemen, which lies south of the kingdom. Shiite rebels known as Houthis had overrun the country's capital, Sanaa. Claiming that the Houthis were backed by Iran, Saudi Arabia launched a coalition war against them. The coalition has faced widespread criticism for its airstrikes hitting clinics and marketplaces, which have killed civilians. Before becoming crown prince, Prince Mohammed visited the White House and forged a close relationship with Trump son-in-law Jared Kushner. Trump made Riyadh his first stop overseas as president, a visit complete with Arab pageantry and opulence. But then, the kingdom rounded up and imprisoned women's rights activists, including reportedly grabbing one woman who was in the neighboring United Arab Emirates. Prince Mohammed has wowed the business world with promises of an initial public offering for the state oil behemoth Saudi Arabian Oil Co., known as Saudi Aramco, suggesting it would have a $2 trillion valuation. The young prince has traveled across the U.S. as part of his business pitch, meeting leaders like former New York Mayor Michael Bloomberg and Amazon billionaire Jeff Bezos. 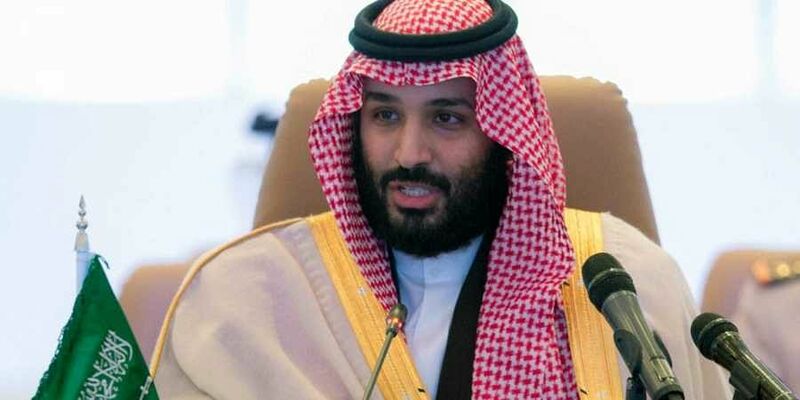 Prince Mohammed also hosted a major business summit at Riyadh's Ritz Carlton, complete with a humanoid robot named Sophia being awarded Saudi citizenship. Only weeks later, the hotel turned into a luxury prison as part of a mass arrest of businessmen, royals and others orchestrated by Prince Mohammed in a move described as targeting corruption. Those released agreed to sign over some of their assets, giving it the feel of a shakedown. The opaqueness of the Al Saud royal family makes it difficult to see what effect the Khashoggi affair is having at home. State television continues to air footage of Mohammed attending meetings and greeting officials as if all is normal. Analysts say he has the full protection of the throne's powers.